Trust us inspect the condition of your pipes and check for leaks to help determine whether your plumbing system needs to be repiped. Toilet backed up or not flushing? Is the area around your pump station wet? We’re qualified to service your septic tank too. From minor to major plumbing system repairs, we do them all! Our diagnostic equipment helps save us time and you money by getting the repair done right. 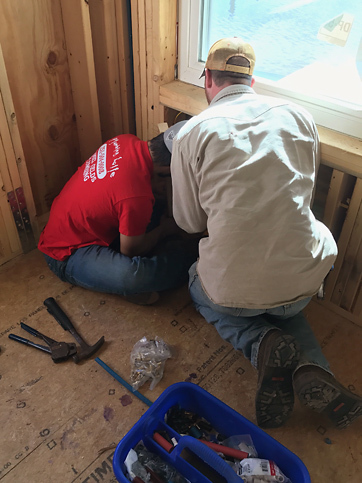 From concrete foundations to duplex on three-story pylons at the beach, we’re well-versed in new construction plumbing projects. Call us for a quote! 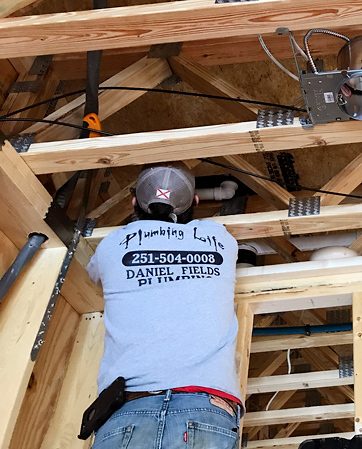 From leaky pipes and grinder pumps to repiping and new construction plumbing, Daniel Fields Plumbing is equipped to handle your plumbing repairs! Our licensed and professional team provides quality workmanship at affordable rates that can’t be matched anywhere else. Need to update your plumbing system? We specialize in repiping for residential, condominium and commercial projects, and you can trust us to get the job done quickly and efficiently. Our commitment is to get the job done on time, every time so you can get back to your routine and back to business with the peace of mind you deserve. When you make an appointment or contact us for service, we’ll show up at your home or business promptly—no more waiting around all day! Our licensed and professional technicians are knowledgeable and courteous, and they will even do a professional cleanup after the job is done. When you need efficient and affordable plumbing system repairs, repiping or installations, trust the experts at Daniel Fields Plumbing! We serve all of Baldwin County and the Eastern Shore. Call us today at 251-504-0008 for all of your plumbing service and repair needs! "I recently had my home completely re-plumbed by Daniels Fields Plumbing. I was disappointed with the original plumbing in my home. I continued to have frequent Pex Pipe leaks. So, I called Daniel, and he immediately responded to my call and was re-piping my home within a few days. They were prompt when showing up at the designated time of appointment. These guys are fast, efficient , friendly and respectable. I will highly recommend them to anyone with plumbing needs in Baldwin County." ~ Lorri P.